This air-conditioned apartment has a kitchenette with a refrigerator, a microwave, an electric kettle and a stove. It also includes flat-screen TV with cable channels and a CD player. The private bathroom has a hairdryer and free toiletries. Please note that this room does not have a balcony. Please note that there is no capacity for additional guests. This air-conditioned apartment features a private balcony with outdoor seating. It has flat-screen TV with cable channels, a CD player, a dining area and a fully equipped kitchen with a dishwasher. There is also a washing machine and a dryer. The private bathroom has a hairdryer and free toiletries. Please note that the price is based on 2 guests. Maximum occupancy is 3 (see Hotel Policies). This air-conditioned apartment features a private balcony with outdoor seating. It has flat-screen TV with cable channels, a CD player, a dining area and a fully equipped kitchen with a dishwasher. There is also a washing machine and a dryer. The private bathroom has a hairdryer and free toiletries. Please note that the price is based on 4 guests. Maximum occupancy is 5 (see Hotel Policies). This air-conditioned apartment features a private balcony with lovely pool views. It has flat-screen cable TV, a CD player, a dining area and a fully equipped kitchen with a dishwasher. There is also a washing machine and a dryer. The private bathroom has a hairdryer and free toiletries. Please note that the price is based on 6 guests. Maximum occupancy is 7 (see Hotel Policies). This 2-bedroom apartment is made up of a studio and 1-bedroom apartment. It boasts 2 bathrooms, a fully-equipped kitchen, and in-room laundry facilities. There is a balcony in most apartments and all have a separate living area. This apartment features a tumble dryer, sofa and stovetop. 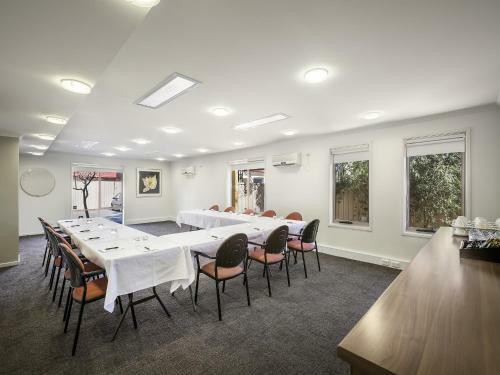 Boasting a lovely outdoor swimming pool, free Wi-Fi and free BBQ facilities, Quest Wagga Wagga is centrally located in the business district. Guests here enjoy free on-site parking and free laundry facilities. Guests of Quest Wagga Wagga enjoy direct access to Bomen Industrial Park and to Charles Sturt University. The beautiful Murrumbidgee river is only a short 15-minute stroll away. 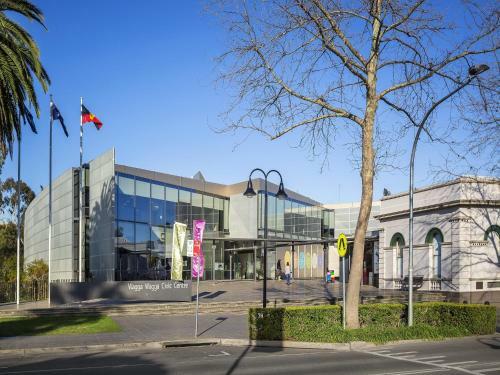 Wagga Wagga Base Hospital, Wagga Railway Station and Wagga Wagga Botanic Gardens are a 5-minute drive from the property. Each air-conditioned room offers a large living/dining area and kitchen facilities including a refrigerator, microwave, electric kettle and a stove. They also feature a flat-screen TV with cable channels, DVD player and a CD player. The private bathroom has a hairdryer and free toiletries. Studio Apartments offer en suite bathrooms and kitchenette facilities. For those wishing to dine out, you can charge meals from a selection of local restaurants back to your room. Guests can also have groceries delivered with the pantry shopping service. Please note that there is a 1.5% charge when you pay with a credit card. Please inform Quest Wagga Wagga in advance of your expected arrival time. You can use the Special Requests box when booking, or contact the property directly with the contact details provided in your confirmation. Great lication, comfortable bed. Great shower. Very comfortable. Plenty of room as I travelled with a toddler and had sports cot to put up. Limited car parks. Had to park away from my door which is difficult with a toddler but we managed fine. Location means we will stay again. Location. Pleasant and helpful reception staff. Dirty grout in bathroom indicates a need for better housekeeping. Bathroom a little outdated & shower was fairly terrible (poor water pressure, irregular temp). Very clean. Close to town. Too expensive for what you get! The beds were comfortable. The layout was good. The lack of equipment in the kitchen was very poor considering the price. There was no roof over the balcony for smokers to go out for a smoke. The balcony floor was very dirty. We had to ask for FOX to be turned on. The hotplates needed repair. The laundry doors didn't close at all. Great size of apartment for a young family. The breakfast options are very average. Very clean, very comfortable and quiet. A good location in the heart of old Wagga right next to the Commercial Club where the hard working and friendly staff prepared and served a very hearty and tasty dinner for us. The excellent and bustling Trail St Cafe is just 80 metres around the corner. Wonderfully comfortable apartment and soft bed. Could easily have stayed there many more days. Very comfortable bed. Clean and quiet surroundings. Everything , the staff ,Accomodation and the location was perfect as well .Would highly recomend . Bed a little "worn" but ver clean.spacious apartment & well fitted out. Hand held showerhead did not fit into stow rack properly, making showering a challenge. We left wife;s medication behind they rang us but we had already traveled 300km so they posted and it arrived day after we arrived home, No Charge. We pointed out some of the Kithen goods wasn't really clean enough and we had to clean before use. They promised to look into the problem and correct. The location and facilities were good. There was a hot water heater which came on and off over night and was loud enough to keep waking us up ! We did report this when we checked out so I hope it is changed for their next guests. 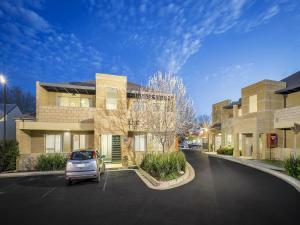 An excellent location in the business district of central Wagga Wagga. Supermarket close by as were eating places. Easy walk to Arts Complex and main shopping area. 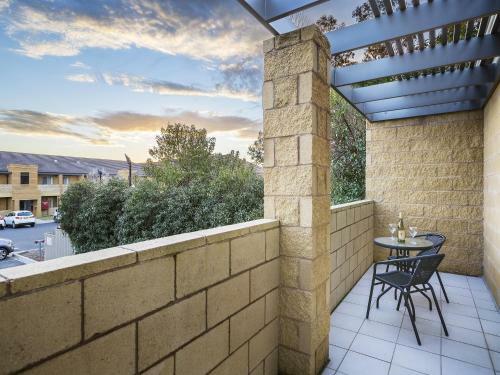 A 13-minute walk from Murrumbidgee river, this modern apartment complex is 1.6 km from Wagga Wagga's Central Business District and 6 km from Southcity Shopping Centre. Airy studios and apartments with flat-screen TVs provide free Wi-Fi and limited room service. Studios offer kitchenettes, while the apartments feature full kitchens. The apartments also have dining tables, washer/dryers, separate living areas and balconies. Complimentary parking is provided, and there's an outdoor pool with a sundeck, as well as a BBQ area.